You’ve heard me say before in this space that desire is the tool to learn who you are. And who you want to become. Desire is made up of four elements: will, belief, expectation and love. All of these elements must be present to obtain your desired outcome. And more importantly DEFINE who you are becoming. For desire is as much about creating who you want to be as discovering it. Before you can get to the elements of desire you have to cultivate one-pointed thought. This is the state where your energy is focused on the task at hand: creating your desired outcome. The process of one-pointed thought is the ability to recognize the clutter in our thoughts that keep us from focusing our energy on our target. They are the unconscious tapes that play when we are under stress. 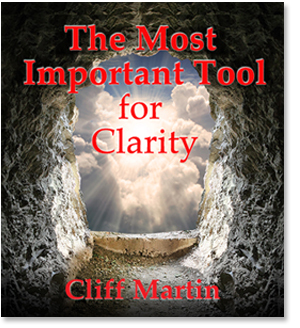 To get to desire you learn to clear your clutter. Both of these topics are longer pieces than is appropriate for a blog. To take care of these kinds of discussions I am writing longer articles and they will be posted on the site. Look this week for the first article called, “Tips for Creating One Pointed Thought.” It will be on the website. I’ll let you know when it is available. In a short time there will be a second article on creating your desired outcome. The elements and methods I use will be posted there. I’ll let you know the title. I am expanding the site to add more content that I hope will help in you becoming more clear. And soon to come is our new podcast with my partner Nancy Fields called ClaritytoDesire. Talk soon.